Hamilton High School Principal Brenda Pensamiento, standing, and UCLA freshman Simone Walker, second from right, help some of the school’s seniors prepare for college. At schools across the Los Angeles Unified School District the past several weeks have been full of excitement, anxiety and promise as high school seniors put the finishing touches on their college applications. 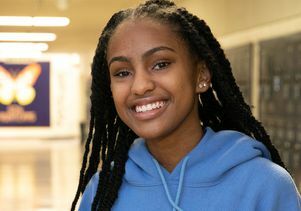 At Hamilton High School, first-year UCLA student and Hamilton alumna Simone Walker has been working in the college counseling office every Friday helping her former schoolmates by providing support, advice and information. This work is a true labor of love for Walker, an African-American studies major who served as vice president of the Black Student Union and a student representative to the UCLA-LAUSD Collaborative while at Hamilton. She now works part time in UCLA’s strategic partnerships and community engagement office and mentors students at Hamilton through UCLA’s VIP Scholars program. 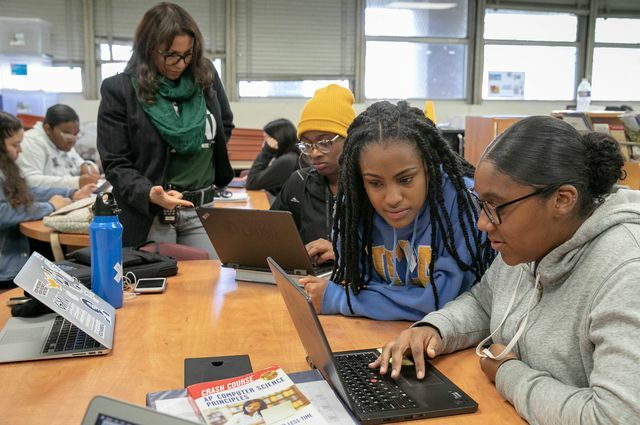 “Being in the collaborative and seeing the actual statistics that only 4 percent of UCLA students are African-American and that only 21 percent of high-school-aged African-American students in LAUSD sign up to take APs was just jarring,” said Walker, adding that when she got to UCLA, she immediately reached out to learn how to remain involved with supporting her African-American peers. “What that means is that 79 percent of black students in our local public schools aren’t even trying to take AP classes, and that doesn’t mean they’re less smart — it just means that they don’t think it’s something that they can do,” said Walker, adding that not only are African-American students capable of excellence, but that they’re also wanted and needed on our local and national college and university campuses. “UCLA is an attainable goal if you work for it,” Walker said. The UCLA-LAUSD Collaborative was established in 2014 in response to a report that showed a disproportionately low number of African-American students in LAUSD schools were leaving high school ready to compete for admission to four-year colleges. At the same time, UCLA was grappling with too few African-American students being competitively eligible for admission. 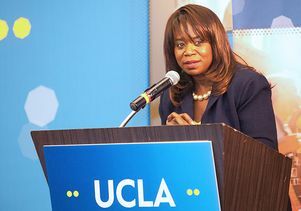 These challenges presented an opportunity for both UCLA and LAUSD, said Youlonda Copeland-Morgan, UCLA vice provost, enrollment management, an award-winning leader in her field whose work to increase access for underrepresented students at UCLA has been featured in the Los Angeles Times and the Washington Post. 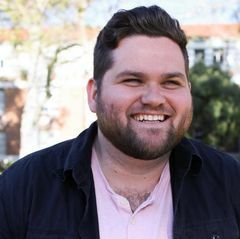 “It was a recognition that we, as an anchor institution in the city of Los Angeles, had a unique responsibility to serve the students who are in our own backyard. Our initial step was to collaborate with LAUSD to identify 20 schools that showed the greatest potential for producing students who are beyond eligible,” said Copeland-Morgan, who also leads UCLA’s cross-campus partnership with the American Talent Initiative. ATI is a Bloomberg Philanthropies-supported collaboration between the Aspen Institute’s College Excellence Program and Ithaka S+R that has created a growing alliance of colleges and universities with a common goal of increasing socio-economic diversity by enrolling, retaining and graduating an additional 50,000 low- and moderate-income students by 2025. Copeland-Morgan and UCLA Chancellor Gene Block welcomed representatives from ATI to UCLA earlier this year to show them how UCLA successfully attracts, retains and graduates large volumes of transfer students, most of whom fit the financial profile the initiative is dedicated to serving. At UCLA, the commitment to increasing educational access across the economic spectrum, including students benefitting from the UCLA-LAUSD Collaborative and ATI partnership, means a steadfast focus on securing scholarship funding to help UCLA students bridge financial gaps. Currently, more than half of UCLA undergraduate students receive financial aid, and 35 percent of UCLA undergraduate students receive Pell Grants — federal aid for low-income students — among the highest percentage of any top-tier university in the nation. 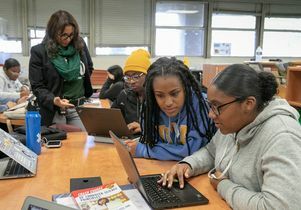 The UCLA-LAUSD Collaborative, which complements the aims of ATI, has since grown to include 28 district high schools, each with a high concentration of African-American students. Each quarter, principals, college counsellors and student representatives from each school meet to discuss issues, exchange ideas and share best practices with an eye to increasing the number of African-American students who are taking advanced placement classes, earning a qualifying score of 3 or higher on advanced placement exams and graduating with the University of California/California State University A-G academic requirements fulfilled. Additionally, representatives from the high schools are given professional development opportunities to learn more about the process of applying to the University of California system and other top-tier institutions and become better informed about various resources that may further benefit their students, such as scholarships, the benefit of taking concurrent community college classes and participating in summer programs and tutoring. 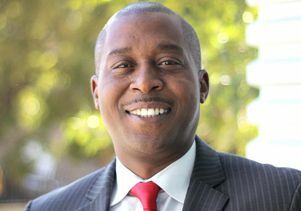 “There is a lot of talk about making kids eligible, but we really need to focus on what it means to be competitive because just being eligible is not going to get you anywhere in the UC,” said Copeland-Morgan, noting that UCLA does not use race as a factor for admission, but rather takes a holistic approach that collectively examines grades, personal achievement and life challenges. With three years of metrics to draw from, the collaborative has exceeded its early projected goals, said Andre Spicer, director of the LAUSD division of access, equity and acceleration, although there is still more work to do. The number of African-American students on track to complete University of California/California State University academic requirements with a grade of C or better increased by 6 percent and there was a 15 percent increase in the number of African-American students enrolled in one or more AP classes, said Spicer, with more than 400 additional AP classes being taken at these 28 schools between August 2015 and June 2018. In addition, the number of qualifying AP scores earned by African-American students in these 28 schools rose by 35 percent. 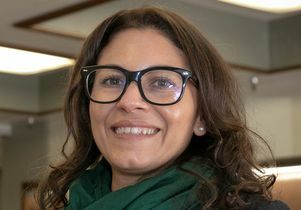 Although the collaborative began with African-American students at its core, there have been some additional benefits for students from all backgrounds, said Hamilton High School Principal Brenda Pensamiento, whose career in education spans more than 20 years. 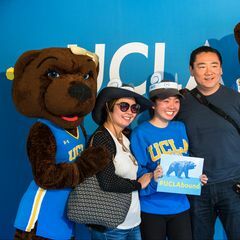 “Kids begin to talk about it, and then the ninth and 10th graders start having that glimpse of hope and they start taking their studies a lot more seriously,” said Pensamiento, whose daughter is a UCLA junior, despite her daughter’s early misgivings that she was not UCLA material. The collaborative also found that students from all ethnicities also had modest increases in terms of taking AP classes and scoring 3 or better on AP tests, and a slightly higher number of students from all other ethnicities were on track to complete their A-G requirements. In addition, Spicer is drawing on the lessons he learned from the UCLA-LAUSD Collaborative to create a strategy to increase the number of male Latino students, another heavily underrepresented population in higher education, who are competitively eligible for college. In a few months, Pensamiento will learn where her school’s graduating seniors have been accepted and where they’ll be enrolling. If recent history is any indicator, some will be accepted to UCLA and to other UC campuses, but this effort just isn’t about gaining acceptance to the UCs, she said. It’s about gaining acceptance to schools all over the country. This past fall, for example, African-American members of Hamilton High School’s Class of 2018 became students at UC and California State University campuses across the state, as well as Rutgers University, Tuskegee University, Howard University and the Berklee College of Music, to name a few. Youlonda Copeland-Morgan, vice provost, enrollment management at UCLA. Brenda Pensamiento, principal of Hamilton High School in Los Angeles.